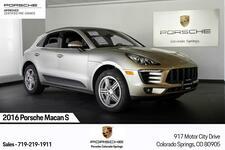 Certified Pre-Owned 2018 Macan S in Palladium Metallic over two-tone Black / Luxor Beige Leather interior. 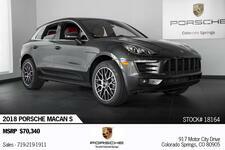 This Macan S had an impressive MSRP of $72,990 including nearly $17,000 in factory options and now has Porsche's Unlimited Mile Certified Pre-Owned Warranty until July 26, 2024. 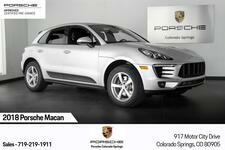 The Macan was previously part of our Porsche Warranty Service Loaner Program and has been meticulously maintained by our Factory Trained Technicians since new. 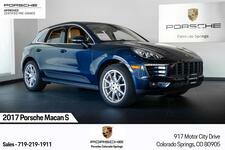 We just completed the 111-Point Certified Pre-Owned Inspection which included the first annual Oil and Filter Change. 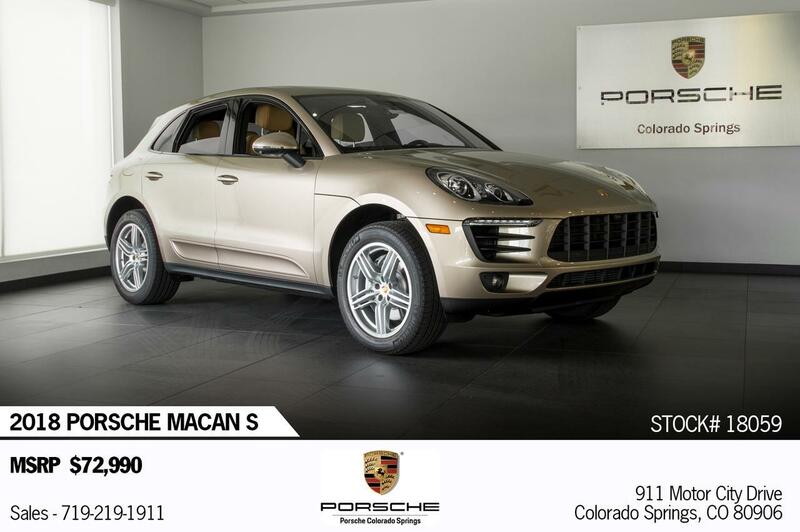 This Macan S comes with the 2 Year / 20,000 Mile Maintenance as part of Porsche's Pre-Paid Maintenance Program which is $1,000 of added value included with the car.